Regular blood transfusions greatly contribute to the quality and length of life of patients with thalassaemia major and have been a central aspect of the treatment of thalassaemia since 1960s. Impairment of normal physical activities. Regular blood transfusions on a life-long basis – at least until a cure for thalassaemia major becomes available – can counteract or even prevent the development of these symptoms. 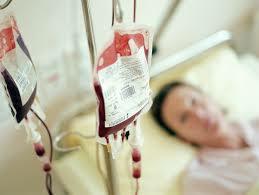 However several factors must be taken into account when beginning blood transfusion therapy.